This entry was posted on Thursday, May 22nd, 2008 at 9:53 pm	and is filed under Great Bowls of Fire, Main Dishes, Thai. You can follow any responses to this entry through the RSS 2.0 feed. You can leave a response, or trackback from your own site. Yum-o!!! Coconut milk makes EVERYTHING better!!! 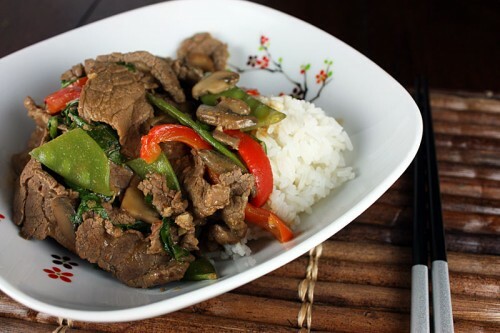 Dang, I wish I could eat beef right now–I’d try this tasty dish. Stupid dairy-free, bovine-free diet. Sigh…somehow I just don’t think it’d be the same with textured soy protein or veat….